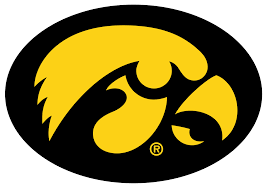 Mitchell Boe (boh) stole home in the top of the ninth inning as the Iowa Hawkeye baseball team rallied from an early 4-0 deficit to win at Western Illinois 5-4. It was the Hawkeye’s 30th victory of the season. Iowa coach Rick Heller. Grant Leonard came out of the bullpen to earn his second win of the season. The Hawkeyes close the regular season by hosting Penn State in a three game series beginning tomorrow. The U-S Supreme Court has overturned a law which limited sports betting to the state of Nevada. Iowa Gaming Association president, Wes Ehrecke (Air-uh-key), says the state’s casinos have been preparing for the possibility of legalized sports betting in anticipation of the ruling. The Iowa Gaming Association represents the 19 state-licensed casinos and pushed for legislation making sports betting legal, but it failed to pass in the last session. He says they believe the more than two decades of experience in the state-licensed casinos have make them the best places to run sports betting operations. Critics who oppose legalized sports betting say it expands gambling. But Ehrecke says millions and millions of dollars are already bet illegally each year in Iowa and other states. He says casinos have a variety of options if state lawmakers make sports betting legal. Ehrecke says the first order of business is to get a sports betting law passed. The I-G-A supports a bill that would allow legalized betting on pro and college sports.